A financial forecast is a reflection of the financial in future. Executive who use the information to make a major decision that involves committing substantial resources and feels comfortable about having done so has been working with a quality forecast. Does the financial forecast contain all of the available information that is pertinent to the decision being evaluated? Here are some of the characteristics of a forecast that may provide comfort to both the analyst and the decision maker. All benefits, expenses, and investments that will change as a result of the decision should be included in the financial forecast. That is the concept of “incrementality“. This includes indirect expenses and the cost of additional support staff. An engineer who must be added to the team to support the product is incremental. So is marketing research necessary to make some marketplace decisions. Any spending is incremental as long as it results from implementing the decision and will not be incurred if the decision is to not implement the project. The financial forecast should not include allocations of existing corporate overhead. The purpose of the forecast is to identify the financial impact that the project will have on the company. With a few exceptions, most financial forecasts should provide a maximum of five years of cash inflows. Because of changes in technology and global economic turmoil, predicting the future is more difficult than ever. Even though we hope that the new business will last forever, we know that that will not happen. If five years of cash inflows do not justify the investment and permit the company to achieve its ROI targets, the risk factors increase substantially. Adding years to the forecast can be a form of analytical manipulation, whether intentional or not. More years of cash inflows will increase the ROI. Therefore, using a set number of years for all forecasts assures comparability and objectivity. Exceptions will include calculating the ROI on such things as pharmaceutical research or the construction of major oil pipelines. These may very well have time horizons of 10 years or even longer. The financial forecast should respect the accounting rules and practices that will govern the company’s reporting over the period for which the forecast is made. This is particularly important as it relates to tax reporting, which will have significant cash flow effects. However, adhering to accounting format requirements is not critical except insofar as cash flow will be affected. After all, the analysis is forecasting the future, not reporting the past. Cash flow forecasts should assume that the investments will be all cash, and the investments should be included in the forecast at the point when the commitments to acquire assets are made. This is true even if the company expects to get financing for the project from a bank or even from the equipment vendors. The project and the underlying risk begin when the commitments are made, which may be long before the cash is disbursed. While the use of external financing sources may be favorable and in fact may be necessary, external financing increases risk. Debt service payments are a fixed cost that increases the company’s break even point. If external financing is decided upon, the first analysis should reflect the now hypothetical up-front cash investment. This is called the base case. The ROI calculated on this basis should exceed the company’s ROI hurdle rate. Analyses of financing alternatives can then be compared to this base case. Thus, discounted cash flow analysis becomes a tool for evaluating proposals from banks and other lenders. 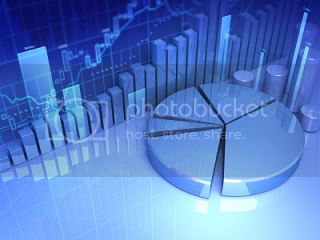 When the external financing is included in the analysis, the ROI will increase significantly. Financing is in fact postponing cash outflows. The cost of that financing will be included in the revised forecast. The before-tax cost of borrowing should be substantially below the after-tax ROI, thus improving that ROI on the project in its entirety. As we have said, an investment is an exposure of cash that has the objective of producing cash flow benefits in the future. If a project involves business expansion, additional inventory will be needed in order to produce the additional products, and additional accounts receivable will be needed in order to finance the sales that will be made. Inventory and accounts receivable are investments just like the purchase of fixed assets. They should be an integral part of the project analysis. Financial forecasts should reflect current product prices and operating costs. The company should never rely on higher future selling prices to justify current investments.
. Technology is causing prices to be lower rather than higher as a business expands. Competition on a global scale makes every business vulnerable to increased pricing pressures.
. If the project implementation is successful, potential competitors will be attracted and will soon be actual competitors. As a result, prices will not be higher. Computers, computer software and operating systems, and pharmaceuticals are prime examples of this. It is very dangerous to invest in a business on the premise that selling prices in the future will be higher. You should look at the annual economic forecasts published in the major business publications. These are surveys of the country’s top fifty economists. The divergence of their expert analyses is eye-opening. The range between the most optimistic and the most pessimistic forecasts of GNP, inflation, and unemployment is extreme. Most of these forecasts will be wrong. Incredibly, these economists are forecasting only one year in the future. If these economists cannot forecast one year accurately, how can we novices impose our economic forecasts on an ROI analysis and expect to be reasonably accurate? Themost effective method of dealing with this uncertainty is to assume that the current economic situation continues, perhaps adjusting it for known events extending into the next year.